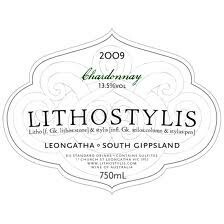 Light yellow in colour, the nose is aromatic and vibrant with melon and a touch of citrus fruits. The palate manages to highlight the minerality and focus seen in a number of the 2011 whites from what can be considered a difficult vintage. It is this mineral edge that is supported by nectarine and lime, with oak playing an ever so slight supporting role to round out the palate. The wine has very good depth on the finish and will reward medium term cellaring.